You are at:Home»Husky Guides»Are Mini Huskies Real? Or Just A Myth? Are Mini Huskies Real? Or Just A Myth? One of the most common questions we hear time and time again is, “are mini huskies real?” Some people think that they’re either just the runt of a normal Siberian husky litter, or they confuse them with the very similar Alaskan klee kai breed. The answer is: yes, of course they’re real! But, technically, they’re not a ‘real’ breed. Rather than being their own separate breed, however, mini huskies are exactly what their name suggests: a small version of a Siberian husky. 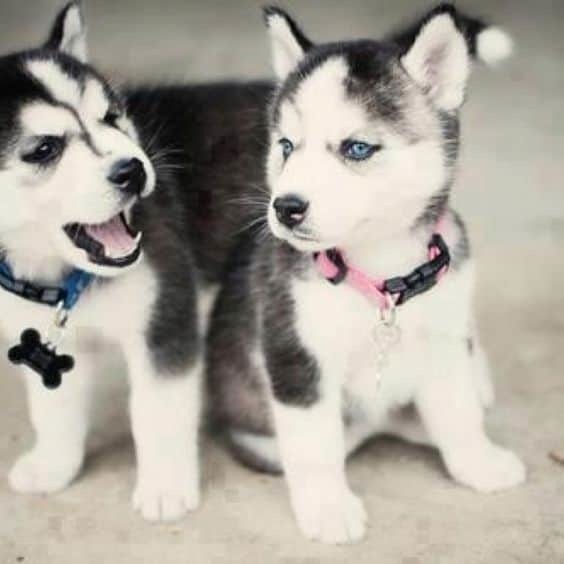 The Kennel Club class mini huskies as simply a size variation on the breed standard Siberian husky. The mini huskies are usually between 12 to 16 inches in height — around half the size of a normal husky! They were first bred back in the 1990s by a breeder called Bree Normandin, who was looking to create a more manageable companion to the full size Siberian. As mini huskies have only been around for just over two decades, it’s likely that they’ll become increasingly common and acceptable to see in society. We think there’s so much confusion about the truthful existence of the mini husky because they’re so rare — particularly outside of North America. Breeders are small in number and puppies are generally expensive so public exposure to these dogs is minimal. Some people think that because they’re very small, mini huskies are therefore just the runts of the litter or in some way weak or unhealthy. This couldn’t be further from the truth. Despite their diminutive size, mini huskies are strong and intelligent — just like their larger counterparts! If they are unhealthy in anyway, that’s down to individual breeding problems rather than a widespread phenomenon. And unfortunately these problems and disabilities occur in every dog breed, regardless of size or Kennel Club entry. 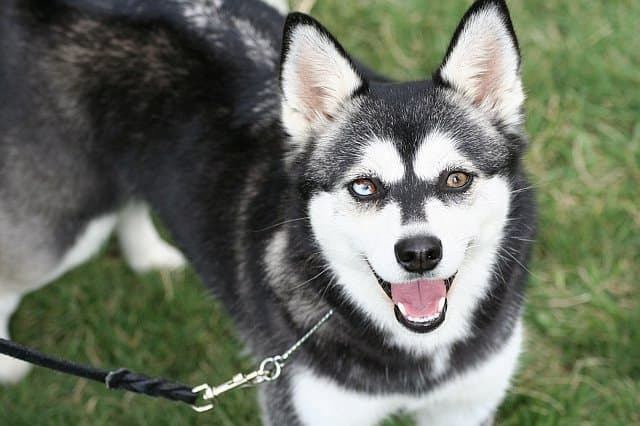 The other factor that lead many people to dispute mini huskies is that they’re very similar — although not identical — in both appearance and temperament to the Alaskan klee kai (AKK). The AKK was bred back in the 70s and discovered to be a companion sized version of a mixed breed husky, with a mix of both Alaskan and Siberian huskies, American eskimo and schipperke dogs. Again, AKKs are rare but are probably more of a common sight than the miniature Siberian. While reasonably similar to the mini husky, there are a number of subtle differences between them — check out our guide to mini huskies vs Alaskan klee kais. The next time that someone tells you mini huskies aren’t real, you can assure them that just because they’re small in size doesn’t mean that they’re just as full of character and love as any other dog — large or small — out there. A small size doesn’t equal an unhealthy body by any stretch of the imagination. Mini huskies are such beautiful, intelligent, fun and happy dogs to be around that we doubt anyone who gets to know one will be doubting their existence for long!